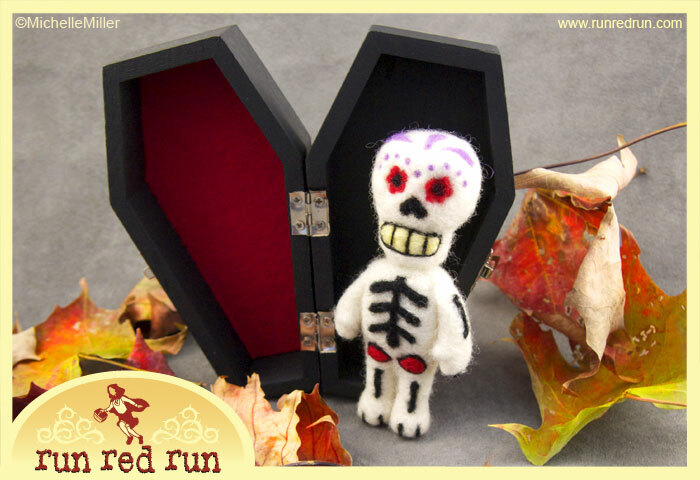 Needle Felted Zombie and Day of the Dead Skeleton For Sale! Wow! Has it been a whole month already? Where does the time go? Well, as you know, the 13th of the month is that magical time when SpookyTime Jingles gets a total update with all kinds of awesome new artwork! So, at midnight on November 13th I’ll be placing not one, but two custom-made one-of-a-kind needle felted dolls on sale! The two pieces I’ve created this month are a brain-munching zombie and, to honor the Dia de los Muertos celebration observed on November 1 and 2, a Day of the Dead inspired skeleton. For some reason I keep thinking that perhaps the zombie was an accountant in his former life. And maybe his name was Frank. But he’s dead now, or rather UNdead, and looking for brains. 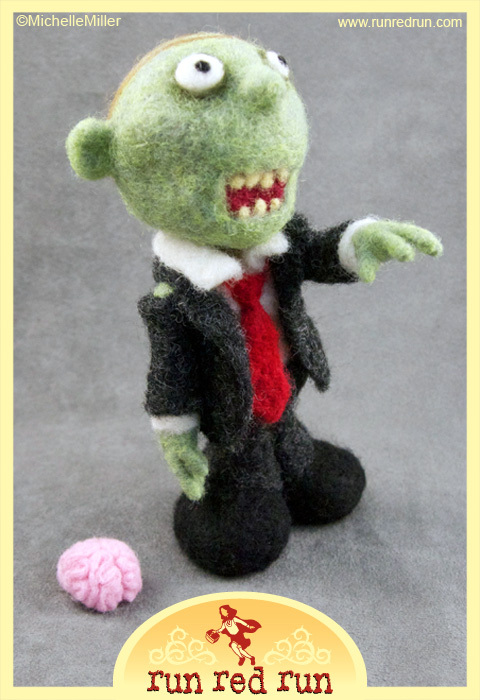 Speaking of brains, the design for the zombie came straight from my brain to the wool… so, there are no working sketches this time. CLICK HERE to contact me for details about needle felting classes for groups and individuals!